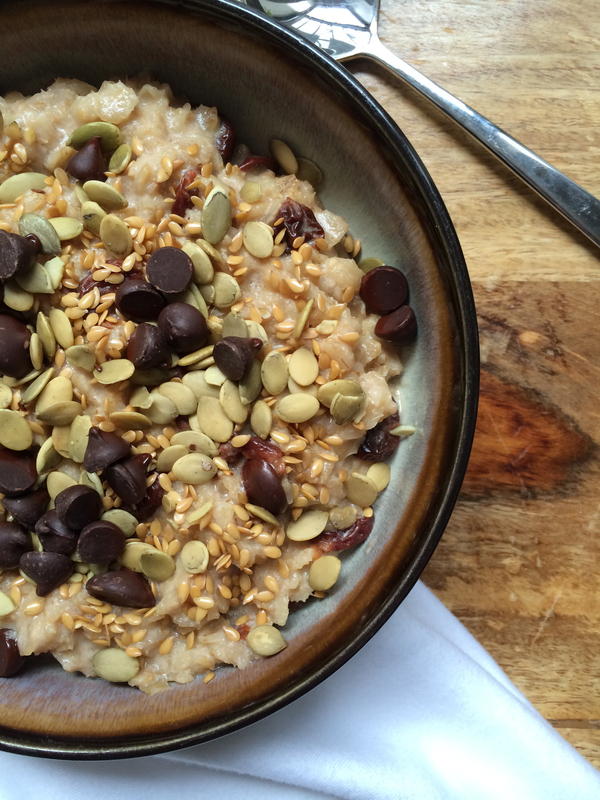 Dessert for Breakfast: Oatmeal with Dark Chocolate Chips, Cherries, Flax Seeds, and Pumpkin Seeds. Let me put this out there early on in this blog: I hate breakfast. I dislike most “breakfasty” type foods. If I can wait until lunchtime to eat, I do. If it’s anywhere close to noon, I will hem and haw until a feasible lunch time rolls around. There are those times when it’s 8 or 9 am, I’m starving, and there is nothing in the house for me to eat, so I must look to a breakfast food. A breakfast food that is quick and easy to assemble as well as easy for me to get down without gagging. Last week, after one such day, I stumbled upon this beauty. Not only is this oatmeal quick and easy, but it is absolutely delicious!!!! I find myself looking forward to breakfast when I awake. Over medium heat, bring water, whole milk, and salt to a boil. Add oatmeal, cherries, and agave, lower heat to low and stir. Let cook uncovered for the length of time your oatmeal requires (quick oats 5 min., thick cut 10-20 min, steel cut 20-30 min) stirring occasionally. When the oatmeal is finished cooking stir in vanilla extract. Put into a bowl or two if you’re sharing. 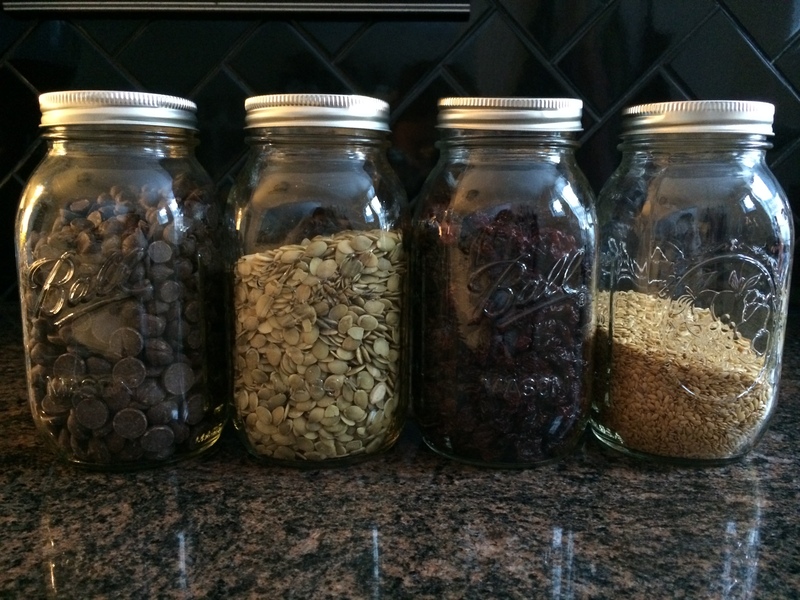 Top with flax seeds, raw pumpkin seeds, and dark chocolate chips.